One of the ways to making money online in Nigeria is from Google Adsense. 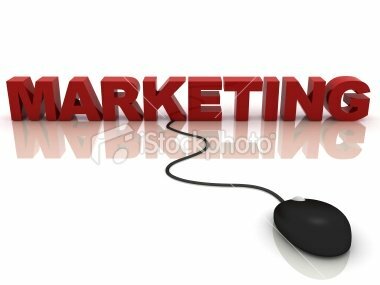 It's one solid ways of earning income on your site from advertisements. But for you to earn good revenue from the program, you must have a website that attracts regular flow of visitors. This is where most people that are complaining of earning little income are missing it. They lack proven knowledge of attracting visitors on a continuous basis from the search engines. They put monetization first, which is a big mistake. Let me proceed with my explanation. Google Adsense is one of the most reliable programs that you can earn income from your website without selling any product or service. Because Google is in number one position globally from all websites in the world in terms of traffic most advertisers prefer to place their ads with them. Can you imagine a website getting billions of visitors daily! Google auctions related ads and allows different advertisers to compete against each other for the display of their ads. When the auction has ended, they immediately post the ads on websites partnering with them based on the keywords chosen by advertisers, thus allowing site owners to earn income. If the ads are placed on your website, you receive a portion of the amount they earn from advertisers when someone clicks on those ads on your website. The process of joining the Adsense program and making money online in Nigeria is easy. You are given an application form to fill up. When your application is approved, you can log into your account and copy the HTML code of the ads and paste them on any of your web pages. The Ads will start displaying immediately on your site. These are images and text ads that will precisely match the content on your pages. For you to making money online in Nigeria from Google Adsense make sure you follow their policies. Do not break any of the rules so that your efforts will not be in vain. For example, you are not allowed to click the ads yourself or tell someone else to click it, displaying sexual content, etc. Write contents that are relevant to your site concept. For example, if your site concept is educating entrepreneurs to run successful business, you focus your contents on that niche. That way you attract visitors that are likely to click on the Google Ads. You can get more clicks by writing high quality content that your visitors will want to read and stay longer on your site. If you don't have the time or can't write valuable content, hire someone to write it for you. Optimize the contents on your website so that the search engines will place it in their database. That will attract more visitors that are likely to click on the ads. Provide original content on your website. Google penalizes sites using duplicated contents. Your site can also be brought down if you steal other people's content. Optimize your content with keywords that make more money. For instance, you are likely to make more money if you use keywords that earn $10 per click than keywords with 5 cents per click. Finally, to make money online in Nigeria from Google Adsense, your website must be well constructed, easy to navigate and avoid broken links. This form of site is attractive to visitors and the search engines.